Ninety-eight percent of cabinets in the new home market of Jackson, Miss., are built on site. And even when quality trim carpenters can be found to build and install cabinets on site, getting them there on time is often hit or miss, says Marc Martin Jr. He owns KLM Millworks in Jackson. He says the company was born out of frustration. "We started this company to fill a need for our own building company, Marcus Martin Builder LLC," he says. "We couldn't find trim carpenters who were good in both quality and time." When the cabinet shop proved such positive results for Martin's building company, he decided to offer the service to other builders in the Jackson area. KLM builds custom cabinets and installs the cabinets as well as all trim and interior doors and mantels. Martin felt that if his building company needed this service, others in the area did too. It was just a matter of educating them. "We're a professional company, we're going to show up when we say, and we've got a better product than what they're getting," says Martin. And KLM offers dramatically shorter installation times for builders on top of a quality cabinet. Instead of the traditional 10 days for installing cabinets and trim on a traditional starter home of about 1,500 square feet, KLM finishes the job in two days. The idea for building cabinets offsite came when Marcus Martin Builder was building a community of 51 homes called Basswood 3-1/2 years ago. 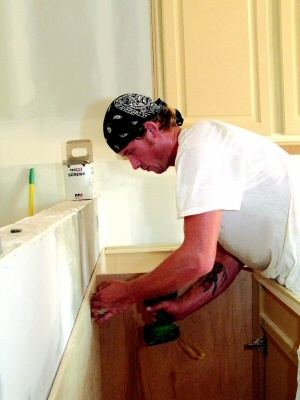 Martin used pre-manufactured Homecrest cabinets. 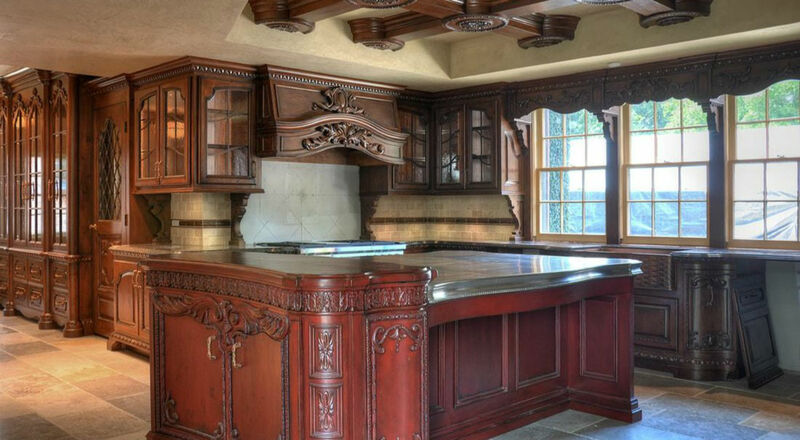 "Through that process I saw that having pre-finished cabinets like that sped up our process dramatically. We had one major problem finding a trim carpenter who knew how to install a box cabinet," says Martin. When subbing out the job proved to be a nightmare, Martin hired his own team and taught them how to install cabinets. "That was truly the beginning of the cabinets. I loved the process. I loved the speed," says Martin. "A year and a half later we decided we were going to start doing cabinets ourselves." Today KLM sells to 25 to 30 builders in the Jackson area. 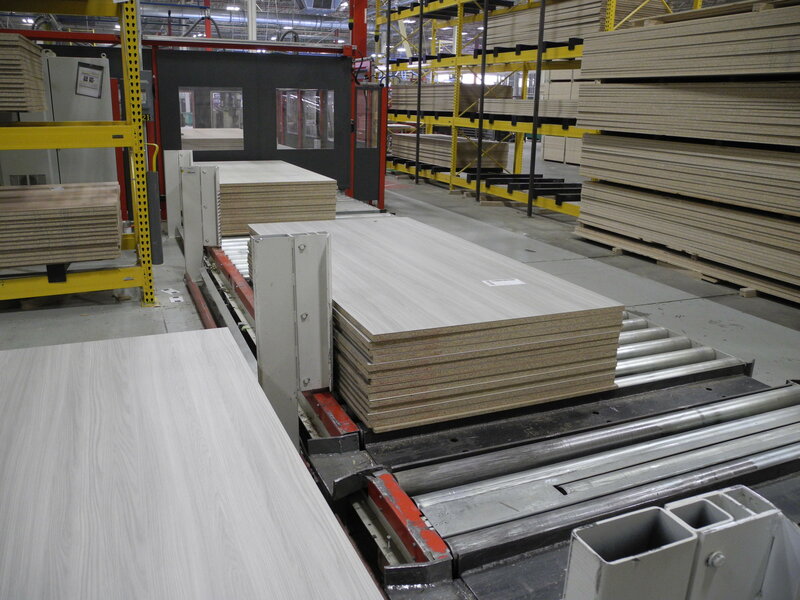 The biggest stumbling block has been convincing builders that cabinets built offsite are better than those built onsite. "Our product is, without a doubt, better. They can't compete with the cabinets we build," says Martin. "We've taken so much of the human error out. A trim carpenter just cannot build as high a quality cabinet." 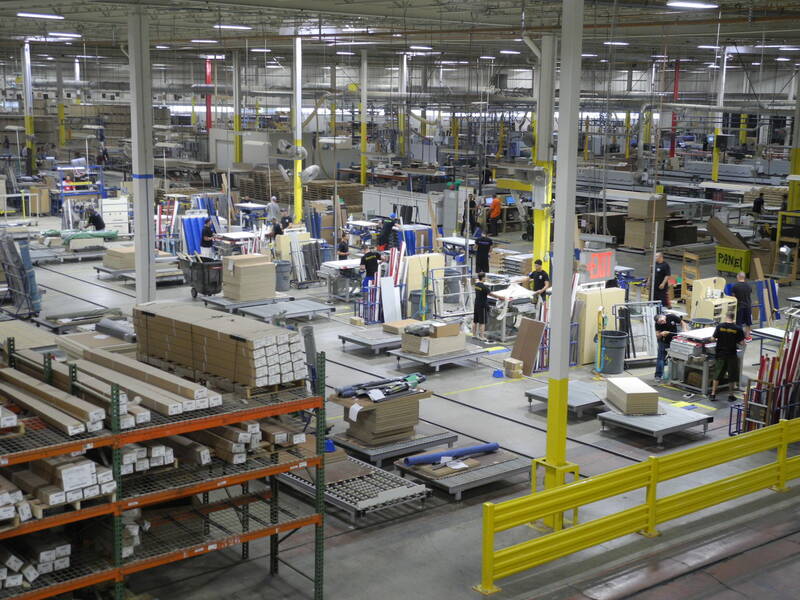 KLM started with 2,400 square feet in 2004 and expanded to 10,000 square feet in 2005. The same year the shop expanded Martin bought Cabinet Vision software and spent every extra moment he had learning to use it. Originally Martin intended to manufacture cabinets in 3-inch increments because it was what he knew. But the more he researched the industry the more he felt custom cabinets would be a better choice and Cabinet Vision would allow the shop to grow in a number of other avenues. From the beginning Martin says he got good advice and help from Machine Worxs. "They came down and set up our equipment and made sure our software was compatible and that's why our operation has been so smooth," he says. KLM bought a Selexx CNC router in April 2006 that was installed in May 2006, and the system was up and running within days. Before the router was installed, the shop was struggling to keep up with orders. "We were selling more than we could get out. The machine works an average of 40 to 80 hours per week," says Martin. "We bought the machine primarily for speed, but the advantage is accuracy." KLM had been spending $4,000 to $9,000 a month for cabinet doors from a supplier before Martin bought the router. Martin figured that with the router, the company would end up spending no more than what it spent on the doors, but would triple its capacity building its own doors. All the cabinet parts are nested and cut on the CNC router. That includes the MDF doors. Cabinets are built using 1/2-inch plywood parts that are dadoed together, glued and nailed. Cabinets and doors are finished on site by the painter. Wood doors, when requested, are purchased from Decore-ative Specialties. Drawer boxes are made using a Machine Worxs dovetail machine. Framing material is cut with a Northtech straight-line ripsaw and planed with a Machine Worx planer. Face-frame parts are cut with a Machine Worx upcut saw using the TigerStop system. Face frames are attached to the cabinets with screws, glue and pocket holes, made with Castle pocket-hole machines. Although face frames are now sanded by hand, a new Northtech finish sander is waiting in the wings to take on the process and cut sanding time. The dust collection system, designed by Machine Worxs, is also Northtech. Next year Martin anticipates sales will double, and he'll need to add more employees. He's now evaluating the remodeling market, which would require a larger showroom. "I am not a micromanager. I teach people, show them what I want, and I want them to be responsible," says Martin. "I can be as analytical and visionary as I want to be here because I have people who handle their responsibility."